Before you install Pure & Simple, it's important to know a few things before you begin. Support for this theme includes helping you with features and functions of the theme, bugs you may find, or if you need to know where specific code is. What is not included, are tutorials to teach HTML or CSS. Pure & Simple helps you out by giving you a premade child theme that you can install. This is found in the original downloaded package with an installable preferential-child.zip theme file. You would simply install this like any other theme, then activate it. It's important to know that before you do this, make sure that the parent theme (Pure & Simple) is installed. It's also important that you decide if you want to use this before you start making your site because if you use the child theme after you already did your widgets, menus, and theme options, you will need to redo them. Browse the contents of this folder, you will see a “style.css” file. This is how you know you have found the theme folder. Using an FTP client, upload ONLY the theme folder to your “/wp-content/themes/” folder so that the "puresimple" theme folder will go into the "/themes/" folder. Optional: If you do not wish to manually upload the theme only folder to your “themes” folder, there is an option. You can upload the puresimple.zip theme file using the WordPress theme installer. Download the theme zip file, unless you still have this from the first download. Pure & Simple offers several features, but some require plugins if you decide to use them and should be considered as optional. You will need to download and install these because they are not included in the download of this theme. I do this so that everyone can choose which plugins they want to install, but it also ensures the most recent version of each plugin is installed. Jetpack - Jetpack offers a library of plugins all within one package. The latest version includes features that you will find gives you most of the functionality that you will want (or need). There are more that you can use depending on your own preferences. This theme uses the WordPress Customizer which is a feature WordPress offers you to make changes to your active theme. Every theme will load up within the customizer, but what will be different from theme-to-theme are the settings and options they offer. The customizer gives you a live preview window of your website, and within the left column, you will see a series of tabs, each labeled as to what they are for. The reason for using a child theme is because when updates are available for your theme, in this case the parent theme of Pure & Simple, you won't lose any custom changes because they were done in the child theme. How this works is that the child theme inherits the styles and functionality of the main theme (the Parent theme), so any updates that happen, it will inherit those. However, if you made any custom changes to the theme, these exist in the child theme and not the parent theme, which is why when you update, you don't lose the changes. If you plan to "only" make changes to the stylesheet, then use a plugin for editing CSS (no child theme needed). If you use Jetpack, this has a feature to edit CSS. Pure & Simple comes with a LOT of widget positions, many offer dynamic sizing which means you can have 1, 2, 3, or 4 widgets side-by-side. If you have 1 widget in a group, such as the Bottom widget group, your widget will automatically go 100% in width. If you publish 2 widgets, each one will become 50% in width, or if you publish 3, each one will be 33%, and if you publish 4 side-by-side, each widget will be 25% in width. If you do not use Jetpack, consider looking at a plugin called "Display Widgets". If you want something more robust (but does come with a learning curve), consider checking out Dynamic Widgets. When you first install Pure & Simple, you may notice you have no menu showing. This tutorial will help you create a custom menu which is by far the better solution and most flexibile. Go to Appearance >> Menus >> create your first menu by titling it in the Menu Name field as "Main Menu" or whatever you wish to call it. Under "Menu Settings", select "Primary Menu"
Go to Appearance >> Menus >> click on the text link at the top area "Create a new menu"
Under "Menu Settings", select "Footer Menu"
Note: You are not limited to just the two menus, you can create as many menus as you want. Some people may opt in for a full sized image, or you can use an image and with the WP Background settings, tile it to how you want it. Also be aware that if you have set your web page to be full width, only short pages will show the page background at the bottom area. Select how you want your image to be positioned, repeat, attached, etc. You can change this width at any time, but I would recommend that you choose it right from the start. Also remember that this theme is responsive, so regardless of the page width you choose, as the browser window gets smaller, your page will automatically adjust. Creating a custom front page and moving the blog further into your website is called "creating a static front page" which WordPress has a tutorial for this. However, I will give you a quick rundown of how this is done because most people will want this. WordPress by default will always put the blog on the front page, which is why a static front page is usually created because unless you are using this theme as a blog only, you will probably want to change this. Title this as "Blog Home Page" and leave the content area empty...we just need the title. You get four blog styles with Pure & Simple. Blog styles are not really layouts, but more of how your blog summaries look. Blog style 1 is the default style for Pure & Simple, which gives you a smaller Featured Image below the post title and to the left of your post summary. Best suited when you use a left or right sidebar layout. 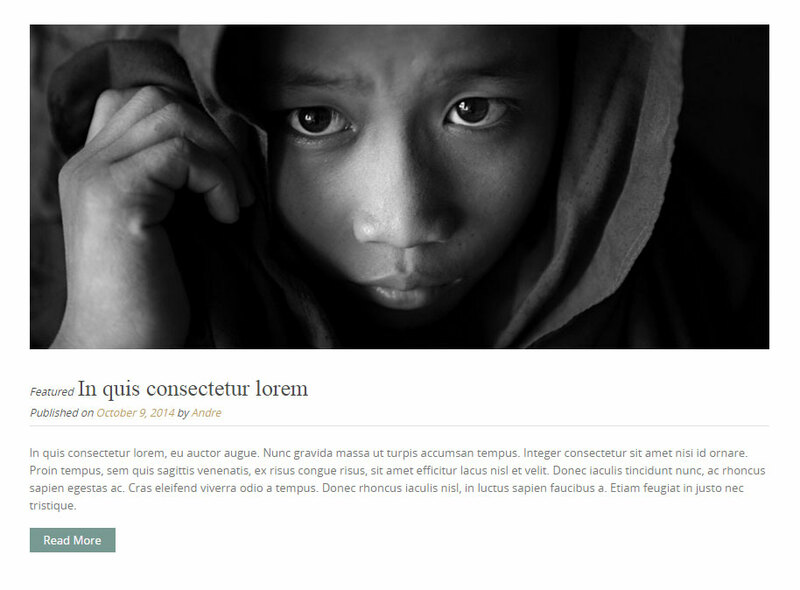 Blog style 2 gives you a Featured Image off to the left of both the post title and the summary content. You can have varying sizes of images, so you are not restricted to just one size...within reasonable sizing that is. Blog style 3 gives you a larger image above the summary content with your content left aligned. 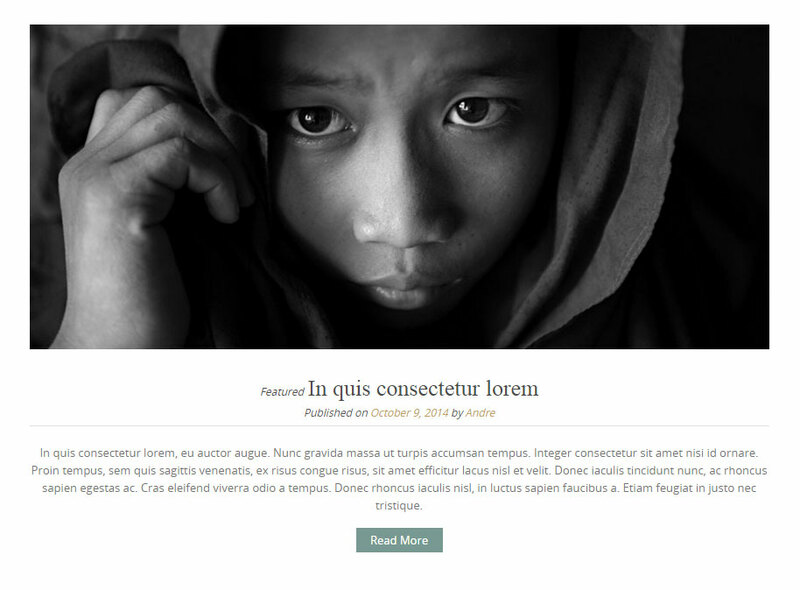 This is best suited when you use a left or right sidebar layout for your blog and want to showcase large Featured Images in your post summaries. 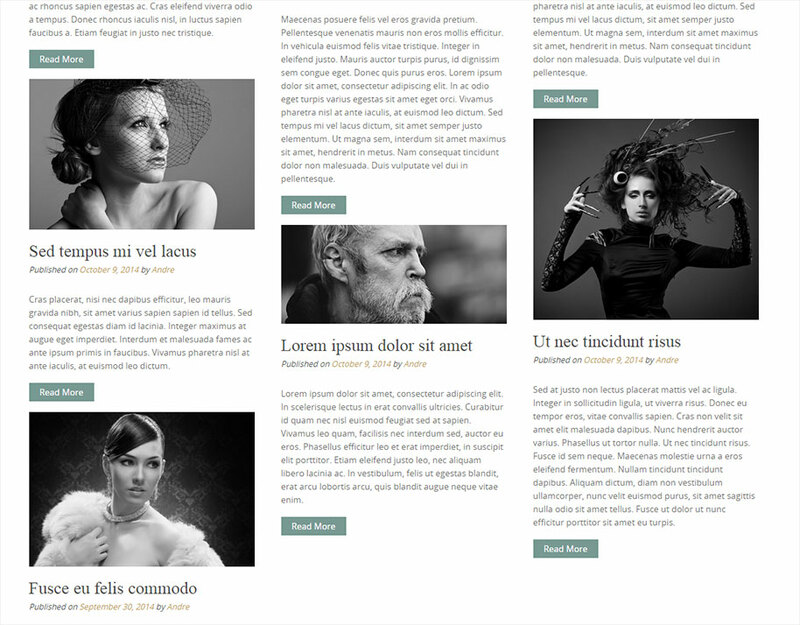 This style is best suited for the Full Width (no left or right sidebars) so you can take advantage of very large Featured Images. Content is centered. 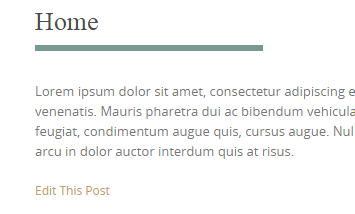 Not really part of the blog styles, but more of a blog layout, the Masonry option gives you post columns without a left or right sidebar until you click on a post. For the Masonry Layout: 250px to 450px, but your height can vary. You do not have to use all the post formats that are listed above, but they are there for you if your website needs them. The Standard Post Format is probably the most common one because this is the default option when you write blog posts -- it's automatically set for that one. How you use the other formats is up to you. For example, you could use the "Quote Post Format" as a way to post client or customer testimonials. The Link Post Format could be used to create a type of link directory. The Status Post Format could be used as a way to publish quick updates to your site or other notations that you want to inform others of things that are happening. When you use a post format, some of them will be styled a little different from the other, but what I've done with this theme is create a "linked" label that goes just before the title of the post that lets the reader know what kind of post it is. For example, the "Quote" post format will look like the screenshot you see below...notice the small label "Quote"? When you click on this label, it acts like a filter and will load up all the posts that are this post format. If you need to temporarily disable your social bar, under the Social Networking tab in the customizer, you can check the box next to "Hide Social Bar" and this will hide it from view. Pure & Simple gives you the ability to customize almost every colour within this theme. 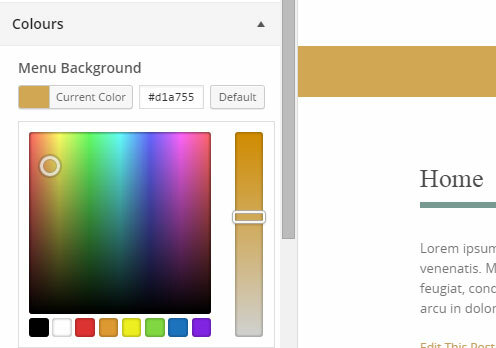 There may be some elements that you need to create custom CSS to manage the colours of those elements, but for the most part, you should be able to achieve unlimited colour combinations with your website with the built-in colour selectors. Once done, the theme has code already in it that displays your breadcrumb navigation on most pages and posts with exception to the "Front Page". This tutorial will help you make a gallery using WordPress. Although this is a common thing with any theme, I will show you how it looks with Pure & Simple as your theme. First thing you want to do is prepare your images ahead of time. I am one who likes to keep things consistent so that I get a nice gallery that is evenly displayed within a page, post, or text widget. This means preparing images by cropping, sizing, and optimizing photos before you upload them. If you were to create a gallery with different sizes of images and some are vertical while others are horizontal, you get a very uneven gallery layout...however, sometimes you may not have the option to make them all the same. On the left side, click on "Create Gallery" and then click on "Upload Files" or if you already uploaded your photos, select them from your Media Library. Click "Insert Gallery" or "Update Gallery"
Then click on Update to your page or post. There are many ways to create a contact page, but the one thing hey all have in common is that they use a plugin for the actual form that people fill out. Normally I used Contact Form 7 as the plugin, but since I am using Jetpack in the live demo site for Pure & Simple, I decided to give this a try and created this tutorial based on Jetpack. For a basic form, it's very solid and we know it's coded well because it's from the developers over at Automattic (makers of WordPress). Each contact form can easily be customized to fit your needs. When a user submits your contact form, the feedback will be filtered through Akismet (if it is active on your site) to make sure it’s not spam. Any legitimate feedback will then be emailed to you, and added to your feedback management area. NOTE: Even though I am using Jetpack for this, you can still create this contact page and use any other contact form plugin such as Contact Form 7, Gravity Forms, or any other plugin to add to your page. This theme offers a large selection of font based icons from a source called "Font Awesome" which has proven to be very popular...so much, that there is even a plugin for it. We will use this plugin with this theme because I also added the font and custom styling for it. I know the little "Edit" link that appears on pages and posts annoys people because it does to me too. 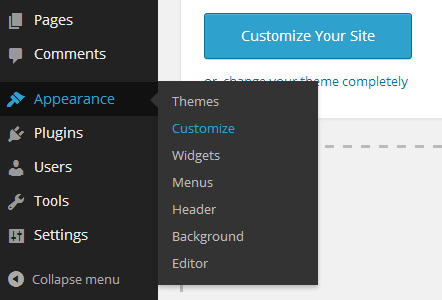 So for everyone who wishes they can delete that edit link from the front of their site pages when viewing it, I have a theme option setting for you. By default, most themes have this so that it allows the site owner to edit the page or post by clicking on this link directly from the front-end. How you use these will be up to you, but for most of the snippets that relate to in-page elements like info boxes, list styles, etc., these text files also contain some instructions which you may want to print off as a reference for each one. I should also mention that snippets are moving into plugins so that you do not lose the snippets in your page or post content if you change themes. HTML snippets and even shortcodes can be lost until you copy the CSS over into your new theme. I am considering developing theme plugins to do just that. You can view this video in a full window. Although the styles are coded in the theme's stylesheet, you will need a plugin called "Widget CSS Classes" to apply the styles by using CSS classes in your widgets. When this plugin is installed, it puts an input field at the bottom of your widget where you type in the class for the style(s) you want for that particular widget. In addition to customizing your header background, you can also use a logo on top of your background. I would suggest making sure that your logo works well with the background. You also get the option of using the default Site Title and Tagline on top of your background, which is customizable from the theme options under the "Site Title & Tagline" tab. The site title and tagline sits in a box container that you can colour the background of that. A nice feature when you scroll the page upward, the site title box start to fade to transparency. You do not have to create titles and captions, you can simply change the background image to something different for select pages. This lets you have the capability of each page having its own background and caption. The first thing you need is Jetpack, so if this is not installed, you need to install it so that we can activate one of the modules in it called "Custom Content Type". Click on the Project Types and create a category. For example, in the live demo site, I made one called "Black & White". On the Portfolio menu group, you can click on Add New to begin adding projects (posts) to showcase an item. When you create your featured image, make sure you maintain the same size, orientation, and aspect ration for each portfolio featured image you use so that when you go to your portfolio, your layout is even by rows and columns and everything looks perfect in consistent size. The images I used for the live demo site were 800x533, although you can use what works best for your own portfolio. As for other photos, galleries, or even slideshows within your content, you can be a bit more flexible. Font management is a very large topic because it's probably the one thing that most users will, at some point, want to change in their site pages. I know many people would love to have every font choice and everything about sizes, styles, colours, and more, all rolled into something easy to click and you're done kind of thing....in a perfect world, yes. However, I hate to be bearer of bad news, but you will have to do some form of custom CSS for your site somewhere along the lines. How you choose a font is dependent on whether you are using a font that exists on a user's computer or if you need to import that font into the web page. If you are using a custom font that you put into your computer, and then use CSS to choose that font family for your web page, please note that others who view that page will not see that font, even though you do. This is because they don't have that font yet. The font family is the type of font, then we have the font size, followed by the weight of the font, style, and then colour of the font (text). This is the long version of doing fonts, but I did this to show how you can manage the different aspects of a font for a particular page element, such as the .entry-title which are the post and page titles. The font family you see above does a couple things. The first is that it gives 3 different fonts that can be used. If the first one "Arial" is not available, it then goes to the next "Helvetica", and if that isn't available, it then uses "sans-serif". The second thing it does is that the first one is a font found on Windows computers, while the second one "Helvetica" is found on MAC's. So if a person is on Windows, they will see Arial, but if they are on a MAC, they will see Helvetica. If you want to use a font that does not exist on a users computer, such as a fancy Google font you seen and like, you will need to follow their documentation on the different ways you can use that font. Or, you can use a font plugin to load in a font of your choice. This theme uses some font management in the theme options customizer, but only gives you settings for sizes. It starts off with a base font size which most themes and websites use 100% as the starting point. This generally translates to 16px in size. The settings in the customizer are in "rem" units. Most people are probably familiar with "px" sizes, but the drawback to pixels is that it's a fixed size and this will never change if you were to use a font plugin to change sizes; you would need to do custom CSS to change the size. REM is a relative size to the main body of 100%, so things will self-adjust based on what you set your body base size to...I recommend you keep it at 100%. The slider on the Pure & Simple demo website is optional, but this tutorial will help you get setup if you decide to use the Widgetkit slideshow. You can freely download Widgetkit from yootheme.com and once you install it, you can enjoy the benefits of the custom theme (style) that we have created for it. You can also use some other slider if you want to. With the Pure & Simple theme, you get a custom theme for the slideshow to match what you seen on the live demo website. You can find this style in the the "Puresimple-package" folder, then in that you will find a folder named "widgetkit". Inside that is a folder named "slideshow", and within it is a folder named "pureandsimple". You should see a folder inside "styles" named "default" which is the default theme (style) for the Widgetkit Slideshow; pureandsimple will be installed there as well next to it. The first thing you will want to do is prepare your slides (images) and have them ready to upload. You can have them any size you want, but as a reference, we recommend using the best quality and largest images you can use.